You are welcome to use discounts and promos we offer but cannot use more than one discount per visit. The Discount Dental Plan and being in-network with your insurance provider is considered a discount off of our fees. We will always use the discount that gives you the best price. *Our Office uses e-mail and text-messaging to inform you of required appointment confirmation, changes or availability and discounts. By signing this, you understand and agree that it is our policy to scan original documents and store the documents in an electronic form. Further, you agree that any agreement bearing a scanned signature, which is printed from the electronic form, has the same force and effect as the original document. As a condition of your treatment by this office, financial arrangements must be made in advance. The practice depends upon reimbursement from the patients for the costs incurred in their care and financial responsibility on the part of each patient must be determined before treatment. We require an appointment confirmation at least 24 hours in advance or your appointment could be cancelled. The undersigned hereby authorizes the release of any information relating to all claims for benefits submitted on behalf of myself and/or dependents. l further expressly agree and acknowledge that my signature on this document authorizes my dentist to submit claims for benefits for services to be rendered, without obtaining my signature on each and every claim to be submitted for myself and/or dependents, and that I will be bound by this signature as though the undersigned had personally signed the particular claim. I understand that the fee estimate listed for this dental care can only be extended for a period of 90 days from the date of the patient examination. In consideration for the professional services rendered to me, or at my request, by the Doctor, I agree to pay therefore the reasonable value of said services to said Doctor, or his assignee, at the time said services are rendered, or within five (5) days of billing if credit shall be extended. l further agree that the reasonable value of said services shall be as billed unless objected to, by me, in writing, within the time for payment thereof. I further agree that a waiver of any breach of any time or condition hereunder shall not constitute a waiver of any further term or condition and I further agree to pay all costs and reasonable attorney fees if suit be instituted hereunder. I , have had full opportunity to read and consider the contents of this Consent form and your Notice of Privacy Practices. I understand that, by signing this Consent form, I am giving my consent to your use and disclosure of my protected health information to carry out treatment, payment activities and health care operations. Thank you for choosing Higginbotham Family Dental. Our primary mission is to deliver the best and most comprehensive dental care available. An important part of the mission is making the cost of optimal care as easy and manageable for our patients as possible by offering several payment options. We offer a 5% discount to patients who do not have dental insurance and pay for their treatment in full with cash/check prior to completion of care for procedures over $300. -There will be a $25 charge to your account for returned checks from your bank for any reason. -Upon non-payment, if your account is sent to collections, we will charge a 10% collections/legal fee. 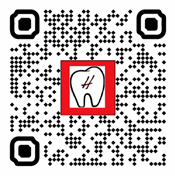 Higginbotham Family Dental requires payment prior to the beginning of your treatment. If you choose to discontinue care before treatment is complete, you will receive a refund less the cost of care received. For patients with dental insurance we are happy to work with your carrier to maximize your benefit and directly bill them for reimbursement for your treatment.³ However, the patient understands that the insurance is an agreement between the insured and the insurance company, not the insurance company and Higginbotham Family Dental. The patient also understands that they are responsible for their balance regardless of their insurance. I agree that the facility, Higginbotham Family Dental, or any other collection or servicing agency or agencies retained by the facility (together referred to hereafter as “collectors”) to collect any money that I owe to the facility may contact me by telephone or text message at any number given by me or otherwise associated with my account, including by not limited to, cellular/wireless telephone numbers which may result in my incurring fees for the call or text message. I understand, acknowledge and agree that the collectors may contact me by automatic dialing devices and through pre-recorded messages, artificial voice messages or voice mail messages. I further agree that the collectors may contact me using e-mail at any e-mail address I provide to the facility or is otherwise associated with my account. Fee estimates are only valid for 90 days and are subject to change. ¹If paid within the promotional period. Otherwise, interest assessed from purchase date. Minimum monthly payment required. ³However, if we do not receive payment from your insurance carrier within 60 days, you will be responsible for payment of your treatment fees and collection of your benefits directly from your insurance carrier. We are so excited to have you as a patient, and would really appreciate you contacting us immediately if you are not able to make your scheduled appointment. We ask that you give us at least 24hr notice. This courtesy makes it possible to give your reserved time slot to another patient. Repeated cancellations, or 3 no shows/no-call appointments with a 12 month period, may result in loss of future appointments, or dismissal from our practice. Thank you for choosing Higginbotham Family Dental for your dental care needs!